Hello guys, good news for all of you. Now most of the banks has introduced the UPI app for transferring money across all bank accounts. Simply One app and allows all account holders to send and receive money using their smartphones from or to any bank account. Now to transfer money no need to know or remember the payee's or payer’s IFSC code and bank account details. So why to delay, just start moving with UPI apps like – Axis pay UPI, SBI Pay, United UPI, PNB UPI etc. You can download these apps from google play store for free. So start download now and enjoy secure transaction. 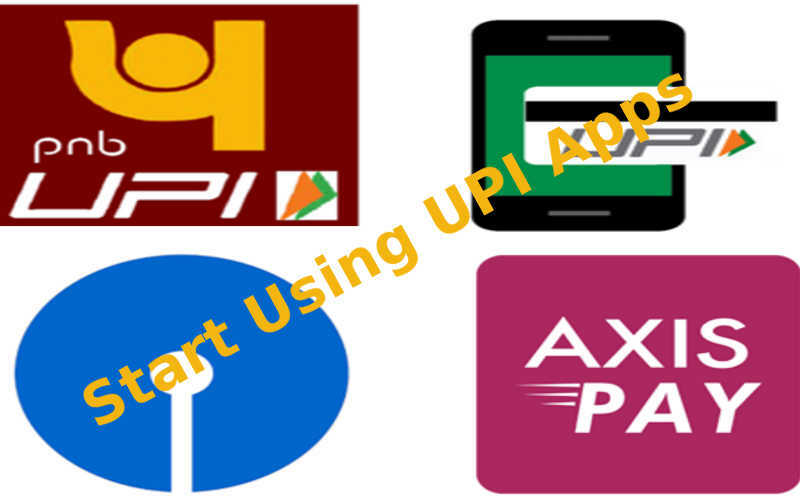 Download the any UPI app like - Axis pay UPI, SBI Pay, United UPI, PNB UPI etc from google play store for free. Send or receive money instantly. From Rs 1 to Rs 1 lakh. From any bank to any other bank. No need to share sensitive information like your account number, IFSC code, no need to remember them at all. Simply share your VPA-Virtual Payments Address, which is yourname@axisbank or yourmobilenumber@axisbank. Payments are authenticated by 2 factor authentication, which is more secure. Transaction on UPI app is free of charge. 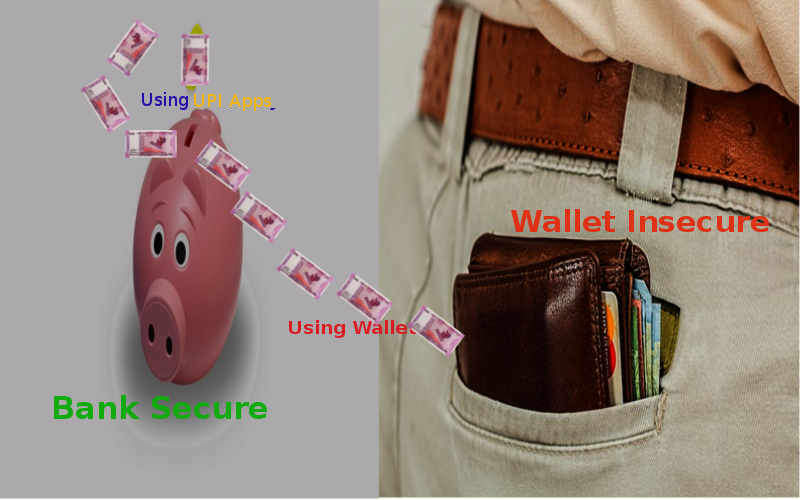 Your money is not in your bank account instead in a third party wallet. Charges between 1 to 4% for reversal of money from wallet to account. One wallet is not interoperable with any other wallet. Sender and receiver party has to have same wallet to transfer funds. Your money is always in your bank account. Transfer upto 1 lakh a day. One UPI is interoperable with any other UPI. Sender and receiver may have different UPI app.